6.2 diesel ,4 speed .3' exhaust dual flow masters dumped behind the cab. full frame ,new sheet metal stock look. drive and drag. Added my 1981 Chevrolet C3500! Right on dude! 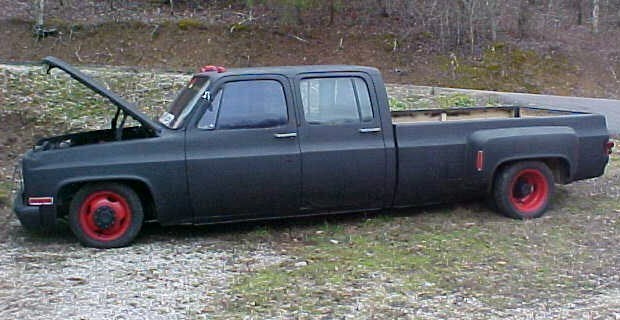 Looks almost exactly like my truck. Rat-rod duallys rule!